The material of this book stems from the idea of integrating a classic concept of Fibonacci numbers with commonly available digital tools including a computer spreadsheet, Maple, Wolfram Alpha, and the graphing calculator. This integration made it possible to introduce a number of new concepts such as: Generalized golden ratios in the form of cycles represented by the strings of real numbers; Fibonacci-like polynomials the roots of which define those cycles’ dependence on a parameter; the directions of the cycles described in combinatorial terms of permutations with rises, as the parameter changes on the number line; Fibonacci sieves of order k; (r, k)-sections of Fibonacci numbers; and polynomial generalizations of Cassini’s, Catalan’s, and other identities for Fibonacci numbers. The development of these concepts was motivated by considering the difference equation f_(n+1)=af_n+bf_(n-1),f_0=f_1=1, and, by taking advantage of capabilities of the modern-day digital tools, exploring the behavior of the ratios f_(n+1)/f_n as n increases. The initial use of a spreadsheet can demonstrate that, depending on the values of a and b, the ratios can either be attracted by a number (known as the Golden Ratio in the case a = b = 1) or by the strings of numbers (cycles) of different lengths. In general, difference equations, both linear and non-linear ones serve as mathematical models in radio engineering, communication, and computer architecture research. In mathematics education, commonly available digital tools enable the introduction of mathematical complexity of the behavior of these models to different groups of students through the modern-day combination of argument and computation. 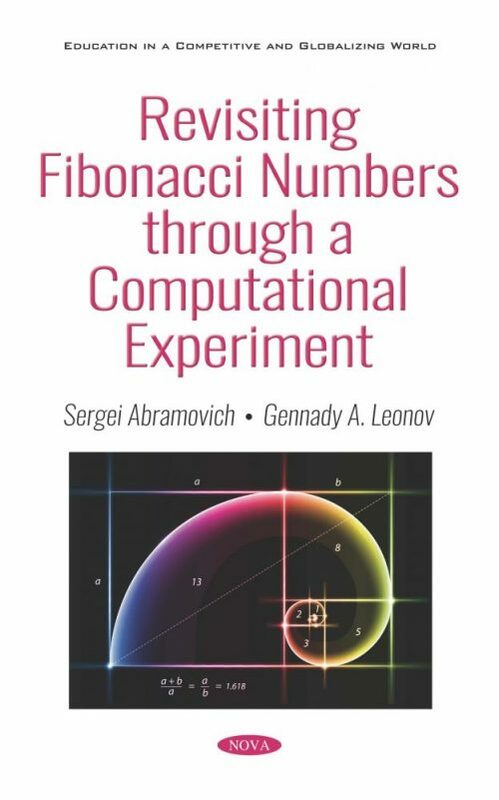 The book promotes experimental mathematics techniques which, in the digital age, integrate intuition, insight, the development of mathematical models, conjecturing, and various ways of justification of conjectures. The notion of technology-immune/technology-enabled problem solving is introduced as an educational analogue of the notion of experimental mathematics. In the spirit of John Dewey, the book provides many collateral learning opportunities enabled by experimental mathematics techniques. Likewise, in the spirit of George Pólya, the book champions carrying out computer experimentation with mathematical concepts before offering their formal demonstration. 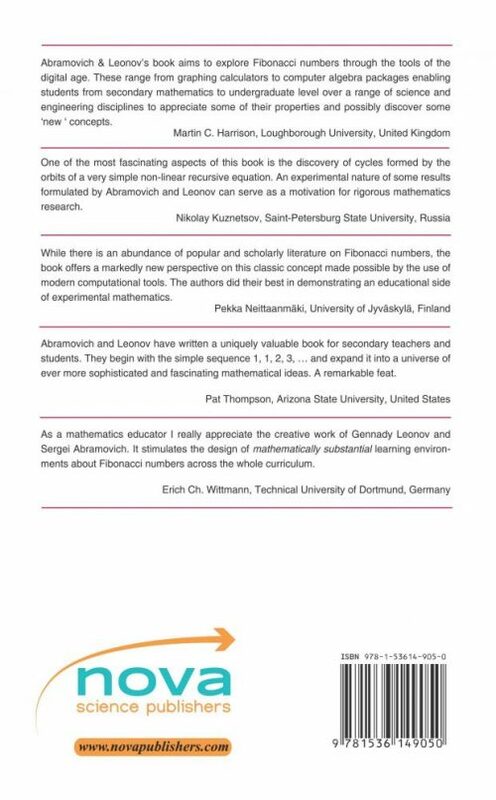 The book can be used in secondary mathematics teacher education programs, in undergraduate mathematics courses for students majoring in mathematics, computer science, electrical and mechanical engineering, as well as in other mathematical programs that study difference equations in the broad context of discrete mathematics. The material presented in this book can be used in secondary mathematics teacher education programs, undergraduate mathematics courses for students majoring in mathematics, computer science, electrical and mechanical engineering, as well as in other undergraduate mathematics programs that study difference equations in the broad context of discrete mathematics.